“Does vitamin B12 really do anything for autism?” is a question that comes up many times in the practice of providing biomedical treatments. Sometimes, the desire to use B12 is even the primary driving force that brings patients to our office. At the DAN! 2004 conference, Methyl-B12 was awarded “most recommended medical treatment”. In many ASD patients, I have seen remarkable improvements, in Speech and Language and in communication, as well. That is, the child will not only improve in words, then articulation, but many parents report that their children notice things that were previously ignored, respond to questions with more understanding and even begin to ask questions spontaneously. The scientific literature is presently woefully short of research in this area. Probably, the best research so far is a rigorous 12 week clinical trial on 30 ASD patients aged 3 to 8 years. “No statistically significant mean differences in behavior tests or in glutathione status were identified between active and placebo groups.” However, “detailed data analysis suggests that methyl B12 may alleviate symptoms of autism in a subgroup of children”. In my practice, I have found that there are clinical symptoms that can help identify those responders. A couple of studies were able to demonstrate some autism patients who had decreased intake of the vitamin in their restricted diets 1,2. Therefore, those patients benefitted from the supplementation of the vitamin B12. The prevailing theory on why Vitamin B12 may be effective in many neuromuscular and other conditions is that the METHYL (methylcobalamin) group acts to aid in detoxification and to improve cellular energy. Additionally, high-dose administration of Vitamin B12 has been validated to stimulate the activity of the body’s TH1 suppressor T-Cells, which has been implicated as a problem in ASD individuals. Vitamin B12 is water soluble vitamin and so there are many available forms – oral, gel, nasal, sublingual, and even in lollipop form. In practice, however, I have only found a biologic effect when it is given subcutaneously. This clinical observation is possibly because the methylcobalamin delivered by this method is better absorbed into the bloodstream, or it is more bio-available, or the effect is more noticeable because of the constantly higher blood level. After all, you can’t keep a sucker in your mouth all day long! No good word has come out yet on the B12 patch. The best dietary sources are from animal products such as meat, fish, eggs and dairy (which causes inflammation in many of our patients). As a side note, no plant foods can be relied on as a sole source of vitamin B12. We usually start a patient with a twice-a-week dosage regimen. We advise the parents to give it shortly after the child has fallen asleep, in the upper outer quadrant of the buttocks, so that there isn’t disruption from the injection itself, which is quite benign and painless. This negates the need for additives such as lidocaine or expensive protocols that include EMLA cream (to numb the skin). Done in this manner, it is quick and painless for the child and the parent. Sunday and Wednesday dosing helps the child focus and improve for the entire school/therapy week. The dosage is pretty much standard for each child, though depending on the clinical response, we may change the frequency of the injections to maximize improvement or minimize annoying effects (below). The product is delivered periodically through a compounding pharmacy. How long does it take to see an improvement from the Vitamin B12 protocol? We usually tell the parent to look for changes after approximately 4 doses, (= ~2 weeks). More importantly, from our interviews and observations, we try to tell the parents exactly WHAT to look for in EACH child – since they are all so different and individual effects can vary. The therapy can be discontinued at any time without harm to the patient. Aggressive and other disruptive behaviors may become more pronounced when therapy is begun. I have had more than a few parents who felt that the “shots didn’t work” because that was their ONLY autism therapy. A common clinical observation has been that, as the child gains core strength and increased sensation in the oral-motor pathways, oral stims sometimes become more frequent (and alarm the parent that the child is ‘regressing’). Liver, kidney and allergic reactions have been reported with other forms (NOT methylcobalamin) of B12. Because of the low toxicity of vitamin B12, no tolerable upper intake level was set by the Food and Nutrition Board in 1998 when the RDA was revised. There is a certain type of anemia associated with too much B12, and so clearly, a physician should be ordering the medication, and should follow the patient closely for any problems. Some antibiotics may not be absorbed as well when taking B12 externally. The average overall cost of having a child with ASD is $20,000 to $40,000 extra per year. The cost of the B12 ‘shots’ is approximately $6 per week. How long will the child need to get the subcutaneous injections? On the average, our patients seem to get the best benefits in the first 6 – 9 months of treatment. Some individuals have taken this therapy for years, however. For the correct patient, subcutaneous methylcobalamin is an effective, inexpensive, and safe therapy that can have a significant impact on the child’s ability to take therapy and improve. As with most biomedical treatments, it is most effective when administered under the supervision of an experienced physician. This entry was posted on Tuesday, September 6th, 2011 at 11:36 am	and is filed under >ALL<, Alternative and Complementary Medicine for ASD, Autism Therapies, Diets, Patient experiences, Vitamin B12. You can follow any responses to this entry through the RSS 2.0 feed. You can leave a response, or trackback from your own site. I am concerned with vitamin shot because my kid is autism. I am looking for the doctor in IOWA who can give this shot. But I can’t find. If you know the doctor in IOWA or nearby state, could you tell me? Thank you so much. I try to find. I have a few questions regarding B-12 and autism. 1). Though I’m already and have been taking methylcobalam sublingually and at high dosages for about nine months now, I have yet to notice any difference in how I am feeling and functioning. Should I consider getting methylcobalamin injections? 2). I’m an adult who suspects that I have both — Asperger’s syndrome/ high functioning autism and B-12 deficiency. If this is the case, will my serum B-12 most likely be low? 3). How common, and why, are serum B-12 levels high in those with autism? 4). To prevent the results from being skewed, should I abstain from taking sublingual methylcobalamin, something that I’m currently taking, prior to having my serum B-12 tested? 5). Could you refer me to some doctors in my area who are use biomedical approaches, including methylcobalamin injections, in the treatment of autism? 1. Getting B12 in isn’t the problem, keeping blood levels up is… ergo subcutaneous, so it ‘leaks’ into the circulation over a couple of days. 2. You don’t have both, according to DSM V, anyway… You have ‘Spectrum’ disorder. Not sure about YOUR B12 level. 3. I’m not concerned with blood B12 levels, but response to treatment. 4. Won’t matter – what you take orally goes through you really quickly. Dr. Udell, I found your page due to the implication that you answer “How common, and why, are serum B-12 levels high in those with autism?” In several different searches using different but similar key words this shows up and directs one to your page. Yet, I do not see the answer here. I am looking for it.Can you tell us, How common, and why, are serum B-12 levels high in those with autism? This is an urgent question to my child and it would appear you use cobalamin in autistic children therefore you must be more familiar with their B12 baselines and data than I. I am a mother of a 5 y.o with autism, a normal CBC, and a B12 blood level of 1800. Yes it was double checked, by MD Anderson, so I am rather confident in the lab reading. Do you have any idea where this could originate? If my advice for parents and families of children who have developmental challenges just “shows up” in a google search, I’m flattered. I don’t pay for any extra search engine optimization. Your reply repeats another recent point about elevated B12. Definitely worthy of a story. To follow shortly. Going to Medical Academy of Pediatric Special Needs This Week, but I will address this stat. My child also has a high b12 levels but on research I have found out the high b12 is due to the b12 not being used in the present form as such my kid is taking Methylcobalim shots and I found some improvement with it. 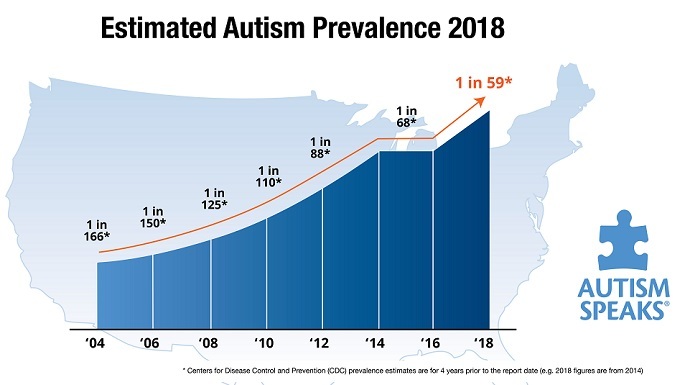 How can you not be concerned with response to treatment when extremely elevated B12 levels are toxic and could imply disorders far more disastrous than autism? I don’t understand. What, in your experience, is the data on elevated b12 in children with autism? The short answer is that I have lots of years of experience helping children, respect the workup for elevated B12 levels, follow my patients closely, and discontinue/alter dosage as regards the patients’ responses. The longer answer will appear in a soon-to-be posted post. Thank you and I can’t wait! I mean that honestly. I am starting to suspect a stronger correlation between metabolism/ body chemistry and autism than I have had reason to previously. My child in fact was tested only because some of her symptoms imply deficiency! Happy writing. Yes i have a 10 year old daughter with spectrum disorder and ADHD , i have not been able to find a Dr. near by to where i live to prescribe her the B12 Shot. Could i just start giving her the 1mg MethylCobalamin Vitamin B-12 that you can get over the counter, and if so how often do i give it to her? I really cannot give individual advice through this forum… you wouldn’t really want to go to a doctor who does. That said, although it is not documented or recommended, it probably is not harmful. i want to know the normal range of Vit b12 of a child who suspected the features of Autism.. It seems more clinical than that… levels do not appear to be either diagnostic or prognostic, rather it’s the patients’ responses to treatment. i am 20 yrs old,having high functioning autism ,only today i got my vit b12 levels done,my vit b12 levels were 108 pg/ml. will i benefit by taking vit b12 and for how long. As I have written previously, MB12 is safe and not toxic – don’t worry about your levels and go by your clinical response. It is also not addictive; so if you take it for 3-6 months and try stopping, you will know how/if it’s working. I keep stumbling across your info an am totally intrigued, desperate? I know you are in s Florida as am I. Is it hard to get an appointment, my son is entering first grade and I feel I need a fresh perspective. and we are seeing precisly what the doctor has told us that we will see. everything seems to the schedule. they have already tried it. Many of them has stated that it didnt work for their children. I am slowly starting to get worried. Has this treatment work for other parents too? As I have written… a low glutathione level and any yeast problems will interfere with mB12 improvement. It appears as if your child is clear of those, so I’m glad that it’s working! You are working through a doctor who understands the limitations… parents shouldn’t expect to just give any supplement because they read about it on the internet. my adopted brother is 13 years old. he has been with my family since he was 15 months old. he was diagnosed at 3 with autism. he has been aggressive for many years. I know diet & exercise is important. I think vitamins would help rather than a lot of medication. what would u recommend based on this information? I have a daughter with mild austim. My ant sent me methyl B 12 tablets from USA that says consult doctor before giving to younger than 18 years old. my daughter is 5 years old. Do you think I should give her? What is the dose for tablet form of methyl B 12? As I said, many times, oral mB12 is not that effective, for ASD. There are no studies that show that the oral form works at all. No.. what is important is the author and my experience. Thanks for your support. Not sure what you mean, though. Over 200 stories written by a physician with 36 years of child development experience. Covering everything related to the present epidemic in one place. Months every 3 days. I am not sure I have seen many things change. I won’t lie I was really hoping to see big things but I haven’t.. I am wondering if he is not a responder to it. mB12 works best when G-I issues have been put to rest and glutathione levels are appropriate. A topical form of high dose methyl B12 is available… It has had great benefit in children with ASD. The delivery form avoids the need for injection and the kids love the hands on approach of the soothing application of the oils. The people there… can also give you advice on methylation mutations and other additives to treatment, if you want. 1. As I have written many times, the SubQ form of mB12 does the best job of improving some of the signs and symptoms of autism. Who wants to choose ‘second best’? 2. I don’t advertise proprietary websites on this blog – there are plenty of other means to access that information. Some may inquire about the flavoring ingredient – ?natural vs. artificial. I have a granddaughter aged three and a half years old who hardly talks. She has eye contact, follows instructions, understands everything, totally toilet trained, but barely talks. We live in Israel and I was wondering if you perhaps might know of doctors here that treat autistic children with B12. This site is the best for finding a local ‘DAN’doctor – unfortunately, not all countries have such a practitioner… a local pediatrician might be willing to read and help, however. My son Max is 6,5 years old and diagnosed with a “mild” Rubinstein-Taybi Syndrom. He has a speech and “learning” delay and also has some autistic behaviors (some repetitive movements, stubbornness..eventhough he has some great social skills and abilities to make friends with the other). He ‘s had a blood test recently and his B12 are actually ok, but I have the feeling that we should try a 3 to 6 months treatment to see if we get any changes or improvement. What do you think ? I need to tell you that he has chronic constipation issues and that we haven’t tried yet the GFCF diet because where we live (Belgium), doctors don’t believe that it is “efficient” (though I know it is quite popular in north america). I would truly appreciate an answer and I also have to tell you that we are going to Florida in december (to visit some relatives) and might come for an appointment if you think it can be a good thing. We are answering in a separate email. However, our experience is that by optimizing G-I health and nutritional status, many of the signs and symptoms of concern start to improve. How do i go about asking my pediatrician to administer this to my daughter without seeming like an armchair physician? i want to try this method as it is one of the ones i feel safest with but i also don’t want to get into a situation where he tells me “it’s not necessary” and then i can’t try this method with my daughter which to me would be worth the chance. also what do you mean by “yeast and intestinal flora under control first”? how does one go about making sure this is the case? Depending on your location, finding a qualified physician is your best chance for success. BTW, Medical Practices, such as ours, experience armchair docs every day. My child is 13 year old ( male ). He is autistic. Did not develop speech until he was 10, and after that he picked up speech a bit, answering one word answers. We have been using a Syrup available in India called Nueromin ( contains B 12 ) since past close to 8 years. And a tablet called Blong( Vitamin B6 ) since past 3 years…. So please advice us, what is the right thing to do? Please go to http://www.childdev.org and feel free to call our office 954-873-8413 for an appointment. Good medicine involves not only a thorough history (which you provided), but a physical exam and evaluation of other parameters. Do you ever see improvements or demising of echolalia? Of course… as S&L improves, expressive language increases and repetition decreases. The important thing is that it be methyl-cobalamin and the dose ~65microgram/kg/dose, given 2-3 times per week. My 7 yrs old son is “echoic”. Can you advise what website I can go to buy the injections without a prescription? You should do that with your child’s doctor… I’m not being evasive, it’s the correct way. I’m sure parents are weary of hearing this answer, but your child needs to be examined and treated by a competent developmental practitioner… I can’t think of any other medical condition that is simply treated by family members who have done internet research. For example, “What is the reason for the vitamin deficiency?” is the issue. Is it chronic allergy, gastrointestinal difficulties, genetic variation, a combination of factors? Merely adding supplements that are testing low may sometimes make the condition worse, due to poor metabolism. I cannot make specific recommendations about children, without examining them and speaking with the family. That said, giving mB12 when levels are ‘ok’ can still be quite helpful. Perhaps there is a blockage or acceleration of normal metabolism? It makes sense that, the course to reversal will be smoother with earlier exploration and identification of concerns. What can i do to regulate glutathione? Examine where it’s being used up and avoid it, maintain good health, and if needed, take liposomal glutathione. Are their any DAN doctors to treat ASD in Vancouver BC, Canada? The protocol is subcutaneous. IV and IM will just pass quickly in the urine. I have a 15-year-old son on the spectrum. He does not get injections, but he gets B6, B9, B12, magnesium, and DMG. When I started giving it to him consistently, in two weeks I noticed his speech start to improve. I am starting to see more “typical” teen behaviors. He still has a ways to go, especially with socialization, but people have told me that they’ve noticed improvements. I have a 5 year old son and 10 year old daughter, both diagnosed with Aspergers. I started giving my son vitamin drops (in his apple juice) twice a day, which consisted of B6, folate, and B12. I started these drops on a Monday, and by Friday of the same week, his eye contact was so much better……it really was amazing! Socially, I saw better results as well. I now have started my daughter on the vitamin drops. I currently have my son on the vitamin drops listed above, magnesium, vitamin C, a multivitamin, and calcium/Vit D. Since he is 5 years old, i’ve had more success in finding all these vitamins in the gummy form (except for the drops). Daughter is following this as well. That’s great… though I find that oral mB12 can make patients very ‘stimmy’ and B6, as well.Good luck with the protocol. I’m a physician with a 3year old grandson with autism. I actually dreamt about the benefit of B12 in autism and decided to google it and found your article. I’ll pass it on my daughter. Thank you for finding time to answer the questions and comments. I have one question regarding B12 conecntration. In my country we unfortunately dont have specialised doctors in the field of biomedical treatment for autism. I do however have a doctor who is both a gastroenterologist and psychiatrist and was open to b12 shots. however, she orderd an injectable solution which is 5mg per 1ml. Dr. Neubrander mentions that it should/has to be very highly concentrated 25mg per ml. How does the concentrtation effect the absorption in the body? we tried the shots for 1.5 weeks now and immediatly saw effects (positive & negative) which are described. it seems to be that on the first day he is VERY angry and aggressive and cant sleep, second day is better, third day is best (only positive effects like more talking eye contact etc). I know its a short period of time to assess, but can the concentration have an effect on how steadily the vit B is released into the bloodflow/brain ? I guess the best person to ask is Dr. Neubrander. That advised, if you are observing improvements in the ‘weaker’ version, it would beg the question of what results might follow with the original concentration. Depending on the reason why your child improved, the timing could be very quick, as you described. That is why you need to visit a MedMaps.org physician. I do not mean to sound cold or uncaring, but what other medical condition would you handle without a competent physician guiding the therapy? Glutathione levels (check core tone) need to be normalized, and the gut must be healthy or mB12 will result in increased stimming, as you describe. They can be obtained through a compounding pharmacy… as with everything ASD, ‘effectiveness’ varies from nothing-to worse-to maybe better. I recently tried taking Vitamin B12 first thing in the morning at around 6am and found it helps clear my head of the brain fog and depression that my Autism causes me. It also helps to clear my sinuses and helps to improve my breathing. Strangely, it only seems to work if I take it early in the morning. If I take it any later it makes me feel tired and groggy. Incidentaly, taking Vitamin C 100% and Magnesium Oxide 50% at 6pm in the evening also has a very pleasant and positive effect on the way I feel.